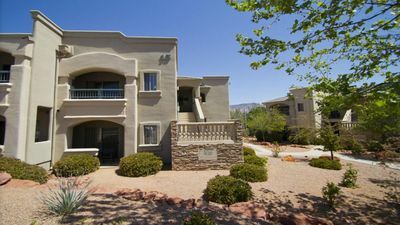 Vacation in our luxury 2 BR, 2.5 Bath end unit located in the meticulously maintained Canyon Mesa Country Club. 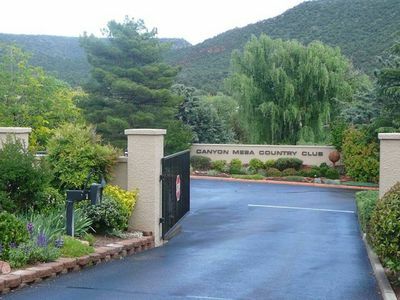 Canyon Mesa is a gated community nestled amidst magnificent red rock vistas in the Village of Oak Creek located in southern Sedona. 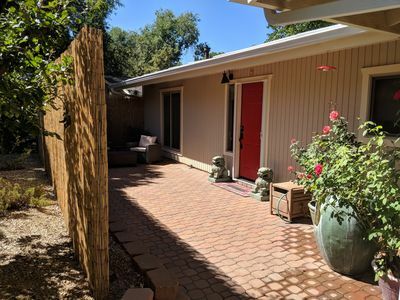 As you walk the serene streets of the community you will be in awe of the visible landmarks such as Bell Rock and Court House Butte which are just minutes away! 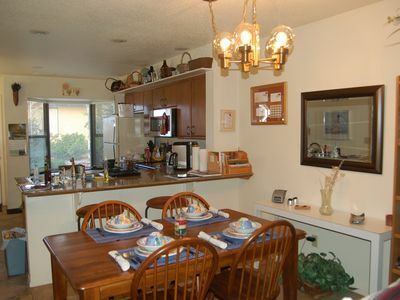 This quiet and beautifully maintained unit overlooks the second green of the 9 hole executive golf course. 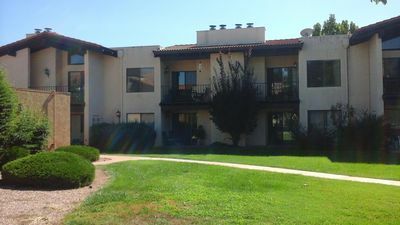 The pool, jacuzzi, tennis courts and club house are just a short walk from our front door. All these amenities are available for your use (pool is seasonal, golf is only $20 for 9 holes). 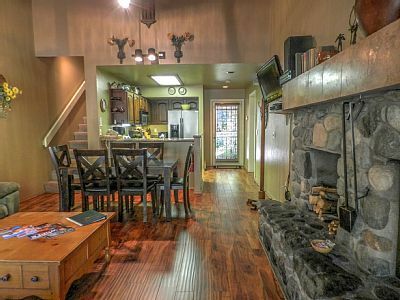 Our town home has terra cotta tile on the first floor with a fully equipped kitchen, dining area and a large living room with a kiva style fireplace, flat screen TV, DVD player and stereo. There are glass sliders that lead to a covered porch perfect for relaxing and/or barbequing on the gas grill. There is a half bath on the first floor. 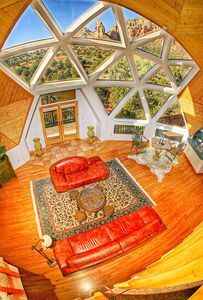 On the second floor there is a guest room with a queen bed, walk in closet and a beautiful view of Court House Butte. A full guest bath is just down the hall. 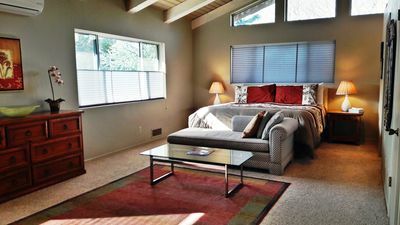 The master bedroom has a queen bed, full bath, walk in closet, flat screen TV and a covered deck. Both upper and lower decks overlook the golf course and greenery. 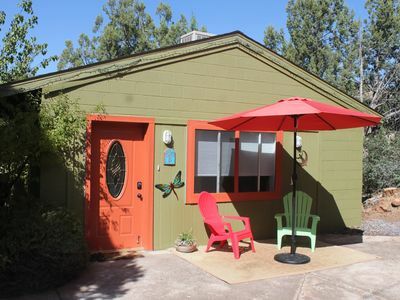 The town home sleeps four and is also equipped with WiFi, cable TV, washer/dryer and garage. 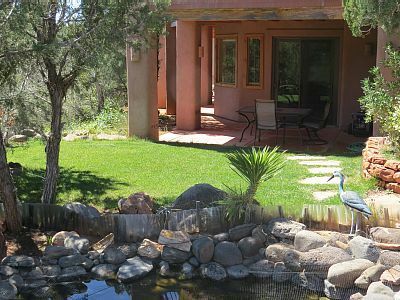 Our oasis is centrally located and is literally minutes from shopping, excellent dining, two 18 hole championship executive golf courses and hundreds of red rock trails in the Coconino National Forest. 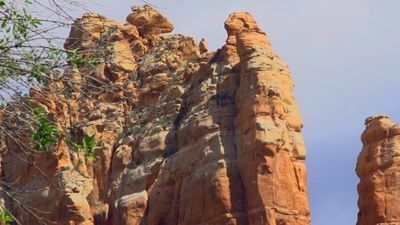 The road from Village of Oak Creek to uptown Sedona has been termed the "Most Scenic Highway in America" due to its magnificent vista views. 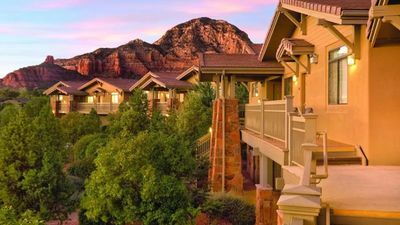 Sedona is rich in art, history and spectacular beauty. 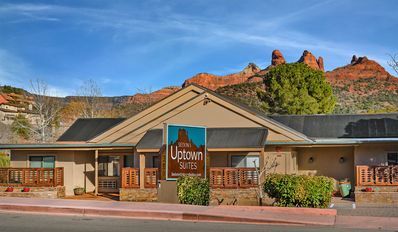 Make sure to visit Tlaquepaque and uptown Sedona for unique cultural shopping and dining experiences. 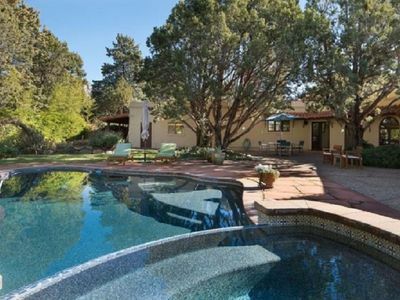 Then return to our town home and relax in the pool and jacuzzi. To learn more about the rich native american culture of this area consider visiting the Verde Valley Archaeological Center in nearby Camp Verde (neighboring town off I-17). 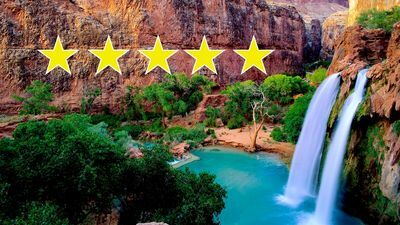 The Grand Canyon is only a little over 2 hours away. For you skier/snowboarders, visit Snowbowl in Flagstaff about 45 minutes away. 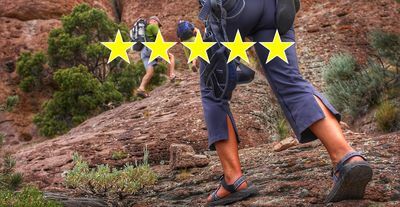 The Red Rock Ranger Station is a recommended stop for hikers, mountain bikers, kayakers and sight seers for info on trails, rivers, maps and knowledge of the natural resources of the area. Its just minutes south from our town home on rte 179. 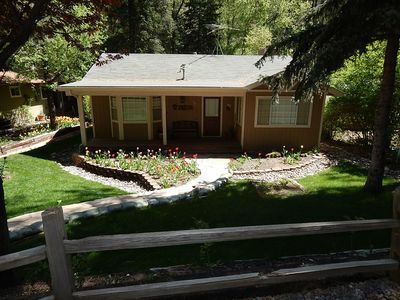 We provide a Red Rock Pass at the town house for you to park at the various trail heads. 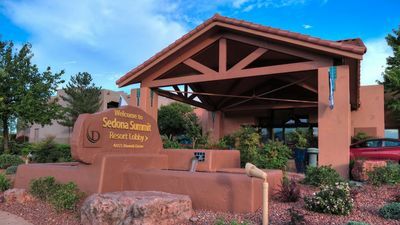 We encourage you to take advantage of the various trails, check out the vortexes, native american history and artistic and cultural riches of the Sedona area. Whether you are planning to visit to enjoy the challenges of nature, the artistic culture of the area, shop, golf or to just seek tranquility and relax in a near perfect climate we invite you to be our guest at our Tranquil Oasis. Although we are animal lovers we do not allow pets at the town home. This is strictly a no pet, no in home smoking oasis. 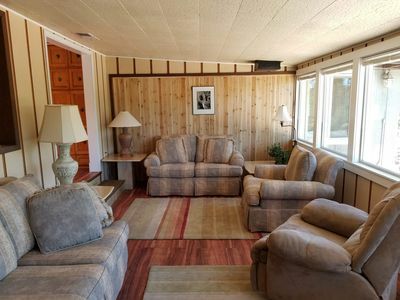 *Please note...once you have reserved the property with the owners, Bob & Christine Rodman, we will have our resident property manager contact you regarding all logistics and payments. Thank you. 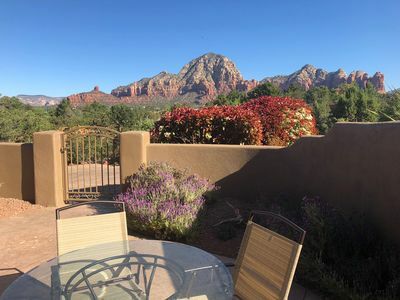 Envision Sedona's blue skies and tall mountains.